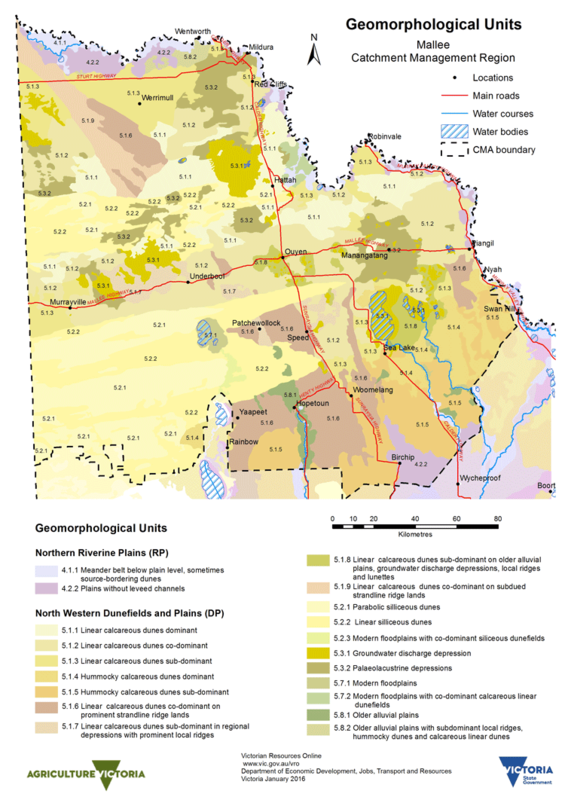 This map provides a preliminary overview of the major geomorphic units associated with the Mallee region. This mapping is still continuing as part of the activities of the Geomorphology Reference Group and is led in the Mallee region by Jim Rowan. Further map and information updates will be provided in future. To view the information PDF above requires the use of a PDF reader. This can be installed for free from the Adobe website (external link).